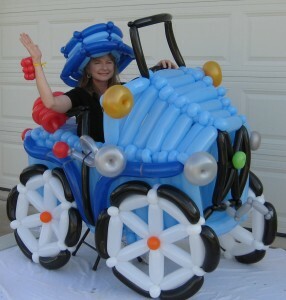 San Antonio's most amazing balloon artists! BalloonDecor-SA is a subsidiary of All Things Balloon, Inc. – San Antonio’s best balloon artists. Ernie & Sheryl Shown have been providing amazing balloon artistry at kid’s parties, corporate events, holiday parties — just about every kind of event that has been held in San Antonio since 2001. When you have some free time, check out our Client List. And if you need balloon-based entertainment, or some fabulous face painting, contact All Things Balloon at (210) 734-9860.